"I wanted to send a note also to say Thank You. It was great to see my son working hard and your staff was excellent for every level of goalie out there. 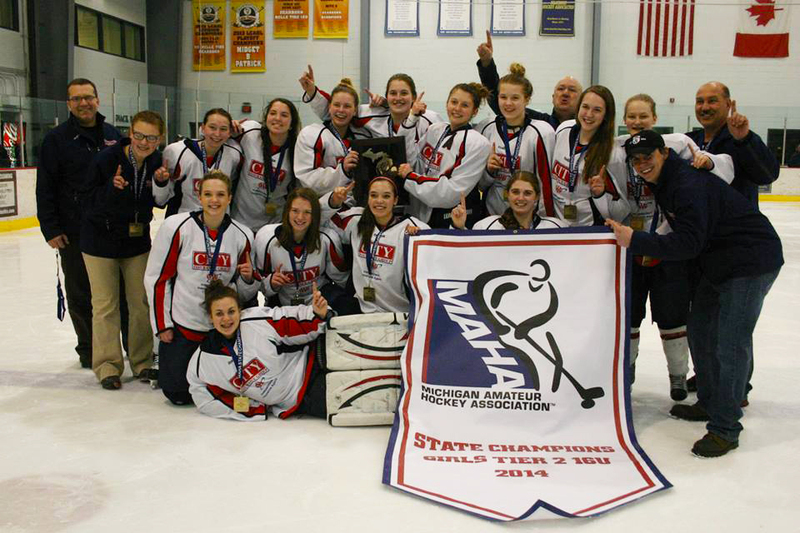 They were very fleet at foot to push the goalie to their own ability and not someone else’s. 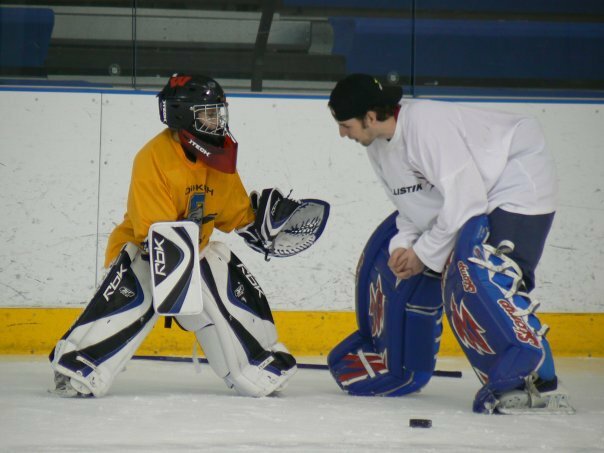 All the coaches took the time to correct goalies for proper technique and didn’t let things slide for sake of time management. You have surrounded yourself with a great staff. Also a huge shout out for providing a quality camp at an affordable price! Kudos to you!" - Serena, Wisconsin. 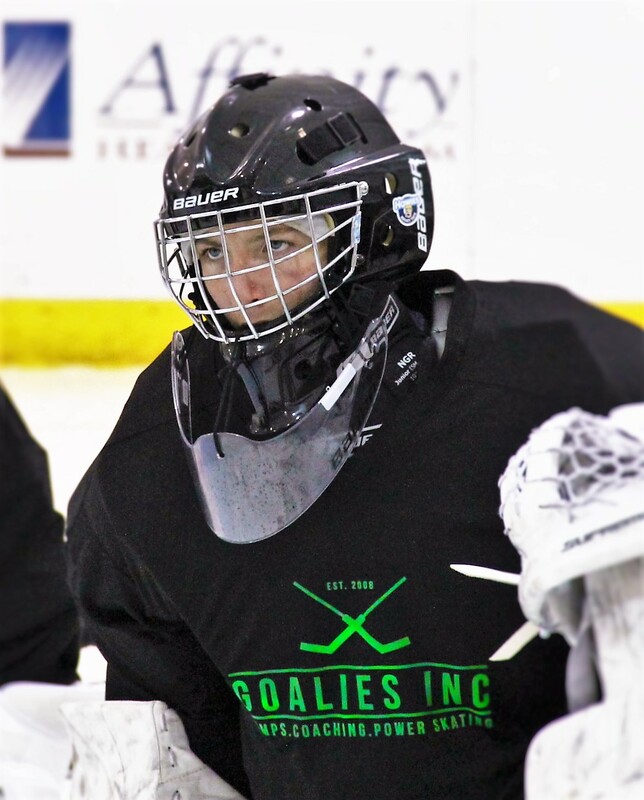 "I just wanted to pass on this highlight for Goalies Inc. My son decided to get into goaltending as a 15 year old after not playing any hockey since he was 5 years old. 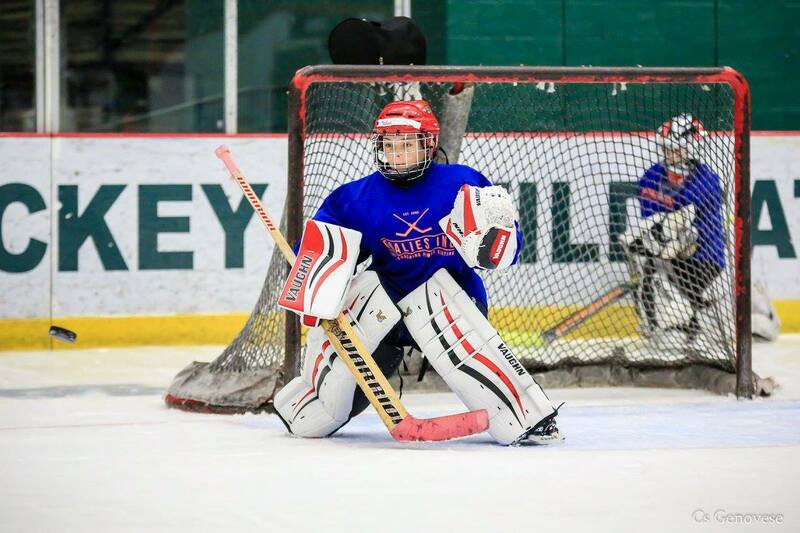 We looked at a bunch of camps and decided on Goalies Inc mostly because of the very early dates of your Oshkosh camp. 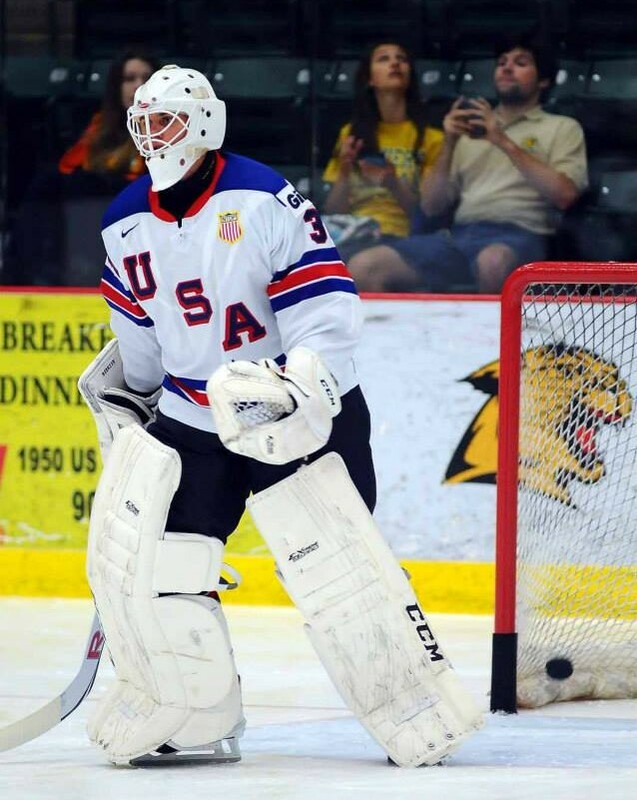 He had been tending in some adult roller hockey sessions, but literally came to Oshkosh with only about an hour on his goalie ice skates. That session he was paired with three young girls because of his lack of skating skills. He is almost 6-2 so it made for a funny picture, but he got great basic instruction. He returned for a second Goalies Inc session in Delafield. 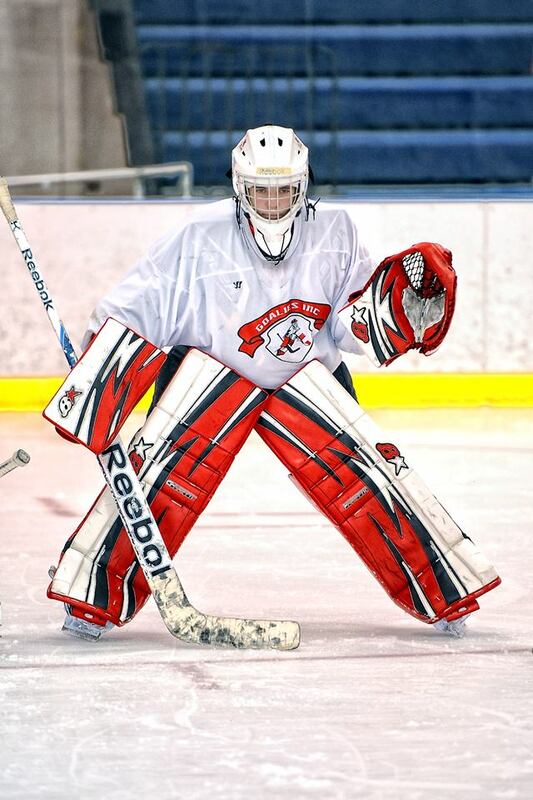 This time he had progressed enough to be paired with the varsity goalies in the group. My son just went through tryouts for the Varsity team at his Madison, WI High School. They had three goalies trying out, including the returning starter. 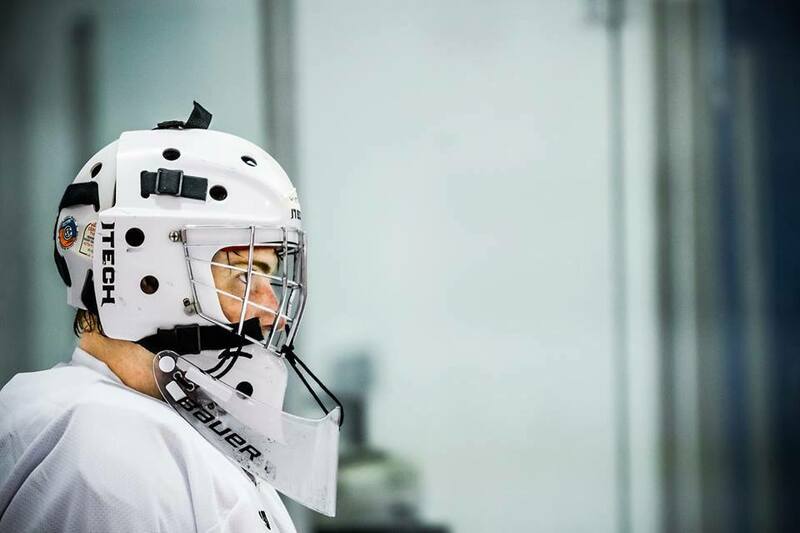 After three days of intensive tryouts he was asked to join the team as the #2 goalie (they kept all three goalies). From no experience to Varsity in 9 months.